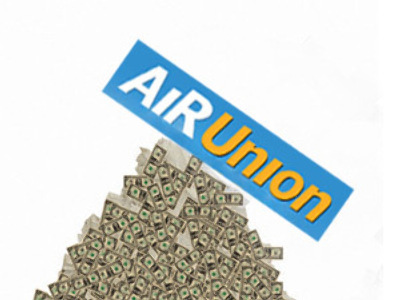 The collapse of the AiRUnion alliance was a major failure of 2008. Created from 5 regional carriers, it was expected to become a new united airline. But the unfolding financial crisis, grounded the plans. An alternative to Russia’s top carriers Aeroflot and S7 – That's what the AiRUnion alliance was intended to be. That was up until August – when liquidity problems, back tax claims and unpaid fuel bills – resulted in airports grounding flights – stranding thousands of passengers across the country. Analyst, Oleg Pantaleev, says the changing economy caught the company off guard. 51% of the airline went to the Russian Technology Corporation and the remaining 49 – into the hands of the Moscow government. The two have sought to create a new airline out of the wreckage according to Moscow Mayor, Yuri Luzhkov. Rosavia inherited the routes and fleet of AiRUnion, along with a billion dollar debt. Oleg Panteleev says it isn’t a good time to be trying to get a new airline off the ground. Aeroflot’s CEO, Valery Okulov, however, says the credit crunch could prompt mergers of companies. At least a year is needed to set up the new airline – expected to become the largest in Russia, with a planned fleet of 200 aircraft. Analysts say, the success of the company now depends on the selection of qualified management and new hardware.